On 28 October 2017, Silangit Airport in the heart of Lake Toba, North Sumatra, will be officially declared an International Airport by Indonesia’s President Joko Widodo. Garuda Indonesia will be the first aircraft to land here flying direct from Singapore. Now visitors from Singapore can have an unforgettable, all inclusive 3 days/2 nights holiday around Lake Toba starting from Sin.Dollars 298.0 including airfare. 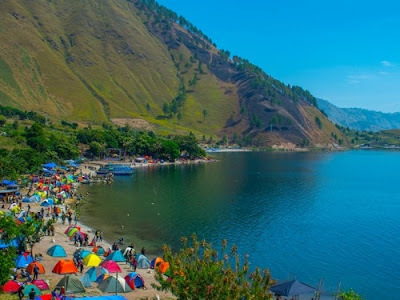 This is a major breakthrough for North Sumatra, since prior to this, tourists wishing to visit stunning Lake Toba needed to travel more than 5 hours fromMedan's Kualanamu airport to reach this beautiful Lake that commands the landscape of this province. 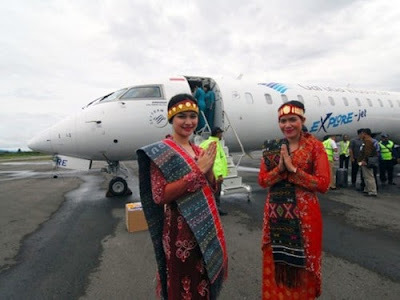 In efforts to make Lake Toba one of Indonesia’s prime destination, and to trigger economic development of the province, President Joko Widodo was determined that the area needed its own international airport soon and improved infrastructure. 28 October is a historic and auspicious day for Indonesia, since it was on 28 October 1928 that even under the Dutch East India government, Indonesia’s youth was resolved and pledged together to unite and build One Country, One Nation, with one national language: Indonesia. To meet requirements of an international airport, Silangit’s runway was immediately extended to 2, 650 m, and its width of 30 meters, to be enlarged to 45m wide before the end of the year, the apron has also been enlarged and the necessary drainage system installed, said Budi Karya Sumadi Minister for Transportation, who inspected the airport recently. At the terminal itself, all facilities are ready, including the arrival and departure halls, and the Immigration, Customs, Health and Quarantine offices are in place. Indonesia’s own Garuda Indonesia will be the first international flight to touch down at Silangit Airport from Singapore. This route will, in the first stage, be served three times weekly. Today, already four Indonesian airlines operate domestic routes to Silangit. These are Garuda Indonesia, Sriwijaya Air, Wings Air, and Susi Air. On 28 October, they will be joined by Citilink. With the official opening of the international airport it is expected that more domestic and international tourists will flock to this beautiful destination. Silangit is located in the district of Siborong-borong in the southern part of Lake Toba, that has been less visited, although many attractions are found here. 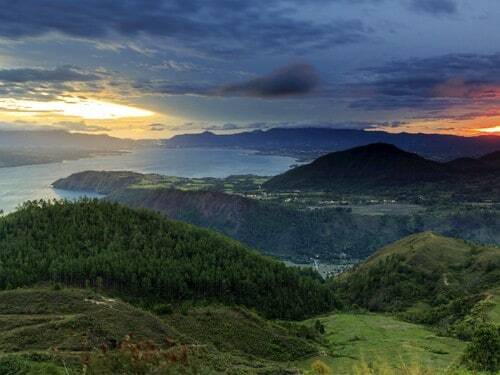 So that now tourists can have a more inclusive experience of wonderful Lake Toba. In the first phase, to directly attract Singaporeans to Lake Toba,10 tour packages have been prepared, being a combination of 3 days 2 nights packages and 4 days 3 nights, offering attractive tours that include tours through stunning natural scenery and cultural visits to Lake Toba villages, handled by operators Prompt Travel and Bayu Buana Travel. Prices start from Sin Dlrs 298 for a 3 days/2 nights package including air ticket, accommodation, meals and tours, said Arie Prasetyo, Head of Lake Toba Development Authority. On 17 October 2017, a Gala Night Special will be held at the Indonesian Embassy in Singapore, carrying the theme Wonderful Lake Toba, on which occasion the packages will be launched. Over 600 tourism industry representatives. Corporations, MICE groups and School Holiday groups have been invited to attend. Last year, 2016, during the period January through September, Silangit received only 89,111 passengers in total. This year, the number has increased 216% so far and is projected to receive 250,000 passengers with existing routes, as well as new routes opened by Citilink and Lion Air, said Arie Prasetyo.